Before you say anything, I don’t personally believe there is a definitive list of 10 simple tricks to make you write the next best-selling book or blockbuster hit. So much goes into every book and screenplay that each finished story is invariably unique in some way, so you can never escape the fact that the hard work and determination needed to write a great story has to come entirely from the writer. However, I’ve been in the industry long enough now to have a good grasp on what helps make a good story marketable. I’ve also know what it’s like to be a new writer desperate for guidance, and I think reading lists like this never hurts, so I’ve compiled one of my own. I will pre-warn you that as I come from a filmmaking background, my examples are often made up of both film and literary references. Forget about book buyers and market trends. If you’re going to do this right, you’re going to be working on it for anything between 6-12 months. You can then add that time again to the marketing campaign you’ll need to create to give your book a chance, so you really have to choose a subject that gets you excited, that you fully believe in, and that you will continue to want to work on even when things aren’t going so well. 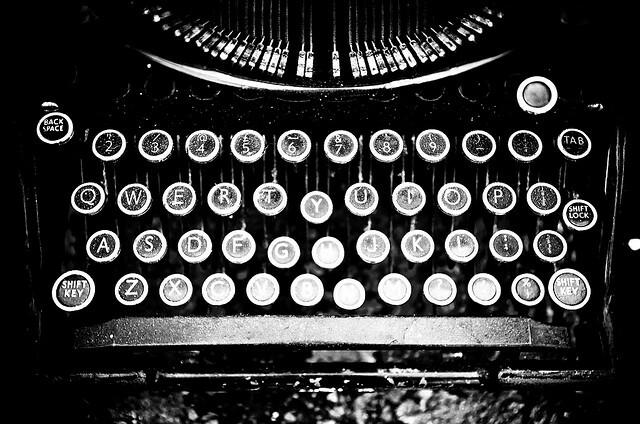 It’s probably the most over-used piece of writing advice ever, and do you know why? Because it’s true. I’m not saying you can’t write about a young boy who’s a wizard because you’re not a young boy. Or a wizard. However, make sure the themes within your story are clear or else your audience will become confused. Rocky is about a man whose talent has seemly been wasted and whose life is passing him by, but then he gets a chance to make a difference – not just for himself but for everybody in his community. Because the theme is so clear, Sylvester Stallone knew that the story had to focus on making our hero loveable, which is why most of the first film follows our underdog as he walks around Philadelphia as opposed to actually fighting. So… was “Sly” writing what he knew? Well, when you consider that practically every studio in Hollywood had turned him down and that his eventual deal was nearly scuppered due to his insistence at playing the lead, you bet he was! Even once the project was green lit, he had the challenge of making the movie for just $100,000. One of my favourite metaphors is of your story representing a house. Now, once a house is fully built, it is incredibly difficult to improve the foundations. What does this mean in literary terms? It means to plan. Whether I’m working on a script or a novel, the first thing I do is outline the project with what’s called a “Scene-by-Scene” document (Sc x Sc). This is a simple formation of scenes where I write a paragraph that briefly explains what I want to happen. If you read through the Sc x Sc, it becomes glaringly obvious what scenes aren’t needed and what scenes may need to be shifted around. Making such changes is incredibly easy at this stage, and only when I’m happy with my Sc x Sc do I start fleshing out the scenes or chapters for the first draft proper. It is very difficult to write engaging characters if you have no idea who they are. One of the very first things I do when I know I’m going to write something is create two Character Maps. The first one tells me about each of my main characters and also includes details such as their full name and age, etc. The second Character Map states how each of these characters feels about each other. Ever since I started doing this, I never underestimate its importance. It takes time, but once the document is complete you will be brimming with ideas for what types of conflict and friendships can grow between your main players of your story. Also, you will start writing with fully rounded characters, resulting in a much greater response from your readers. When a person considers purchasing a book or a DVD, they’ll look at the cover, read the tag line, read the blurb and then either buy it or move on to the next one. We all know this, and yet when I look at the above elements from new writers, they’re often pretty terrible. It’s not that the writers are bad, more so because they have treated these tasks as an afterthought. Never do this. They are each as important, if not more important, than the overall content of your actual story and you should be writing them and re-working them from day one. Like it or not, once your product is “out there” you will be competing with countless other products made from the world’s most famous competitors, so give yourself a chance and pay attention to every detail. 6. Start with a bang! Your story must be engaging from the very opening shot. I’m not exaggerating. Don’t wait until page three to really do anything. If you do, you will have already lost your audience. Stories are based on conflict and your particular story revolves around your hero, who will come up against endless obstacles, so throw us in at the deep end. Bang! Problem. Hero reviews problem. Does something likeable. Bang! Another problem. The hero, despite being wounded by the problems, remains kind to those around them. The hero tries to overcome the problem, then BANG! An even bigger problem. It might sound overly simple, but this is how we get readers to care about our characters. We put them up against it via a series of relatable problems that they seem unlikely to be able to solve, yet somehow they carry on and find a way – so start big, and end bigger. Now this is traditionally more of a tip for screenplays, but I tend to keep it in mind no matter what I’m writing. It simply means, don’t show the boring stuff. For example, if a guy wakes up late and does nothing for the entire day except mope around his house before, suddenly, a bulldozer comes through the front window, I want to start writing the scene just before the bulldozer comes through his window. I can show that the character has done nothing all day by giving him scruffy hair and putting him in sweat pants. Likewise, I don’t need to see the whole exchange between the guy in the house and the guy in the bulldozer. We just need to learn why it happened and then move on. Whenever you write a chapter or scene, review the beginning and the end and ask yourself if you can trim a little fat. I’m not saying you have to write the next Memento, but no matter how well written something is, if you always know exactly what’s going to happen, your readers will either stumble over the finish line or, worse still, never finish at all. I always mark how much a reader has enjoyed my work by how quickly they’ve read it. Why? Because if I’m heavily involved in something, I won’t put it down. I can’t put it down! This is no accident. Every chapter was mapped out and written as though it was a mini-story, ending with a hook. By contrast, I recently read Wake Up, Sir! by Jonathan Ames. The book was an impulse buy because I loved the cover, the blurb was great and the prologue was hilarious (all evidence to support point 5 above). However, half way through the book the novelty wore off and I found it very hard to finish. I don’t regret reading it because it offered escapism and I learnt a bit about how to write with great quirkiness, but the chance of me buying another Jon Ames book is pretty low. When I first started writing, I used to think the whole battle was in creating something truly original. The subsequent years have taught me that actually, agents, publishers, producers and readers don’t really want original stories. They don’t like them. Instead, they want to know what other stories it’s like, so choose three existing books or films that you feel best represent your project. When doing this, don’t just think of what you like creatively but make sure you compare it to things that sold well, because comparing your project to something that lost money can inadvertently put people off. Wait a second, J-man. Promotion starts after the book is written, right? It’s true that you should write something close to your heart as opposed to being influenced by the marketplace, but from the minute you make the decision to work on a particular project, you need to think about what links it has to publicity. Any publicity. 24/7. Can you run a crowdfunding campaign to expand your fan base and generate pre-sales? Does the theme offer a link to a charity that you can donate a percentage of the takings to? Are there festivals and events that you can attend after your book is released? Is your story relevant to any geographical areas or landmarks? Can you gain some local interest via papers and radio stations from your hometown and/or where you wrote the piece of work? When you focus on finding links between your writing and your potential audience, you’ll be surprised how much you can do, but if you wait until the book is fully written, you might find you’ve left it too late. Like the blog? Give us a share or a mention on your social media channels. Likewise, if you can think of more points to add to the list, let me know in the comments below. *Article image courtesy of Thor via the following license on Flickr.